Follow @crystallindy for more gorgeous looks like this! I love whenever I see someone rocking yellow hair! It's so bright and eye capturing. It's definitely a bold color that makes you stand out and command focus. 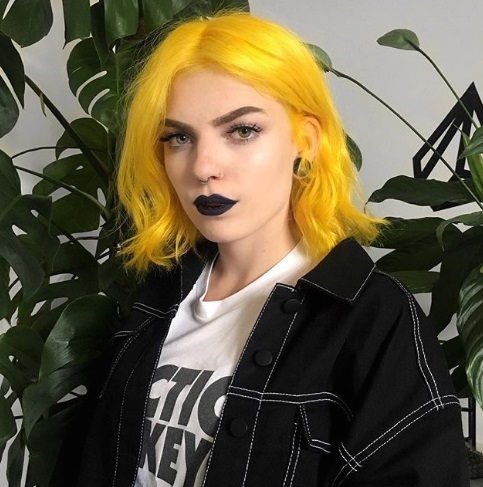 So here are some gorgeous ladies that I found on Instagram rocking their yellow hair. Maybe it'll inspire you guys to get the color too! Check them out and follow them! I hope you guys enjoyed these Instagrammers with their bright yellow hair! Let me know what other hair colors you love by leaving a comment down below.